German startup Bragi, have come a long way since their successful Kickstarter campaign, back in February 2014, gained support from 15,998 backers who pledged $3,390,551 to help bring their project to life. Three years and two generations of Bragi later, the hearable tech startup recently announced, in September 2017, the exciting news of integration of Alexa into the Bragi hearable Dash and Dash Pro. For those not yet in the know, hearables, like Bragi’s Dash (pro), is wearable tech that we wear in our ears. Popular with early adopters, the hearable device is igniting a new era of convenience along within the context of the technology we wear. So why in the ear? Well, the ear has been proven to be a much better place to measure the wearer’s temperature accurately, heart-rate, calories burnt and other life saving key biometrics. With so much taking place at Bragi HQ, I decided last month to meet the people behind the magic on their home turf in Munich. Located in city centre, the first impression I got, when I walked through their building was a feeling of being in a laboratory where the only thing missing was people in white lab coats. The first person I met from the Bragi team was Lorena Poy. She introduced me to Bragi’s executive VP of Partners & Solutions, Darko Dragicevic. Sitting down with Darko, I was ready to take it all in. We found a common ground in the importance of collaborations. 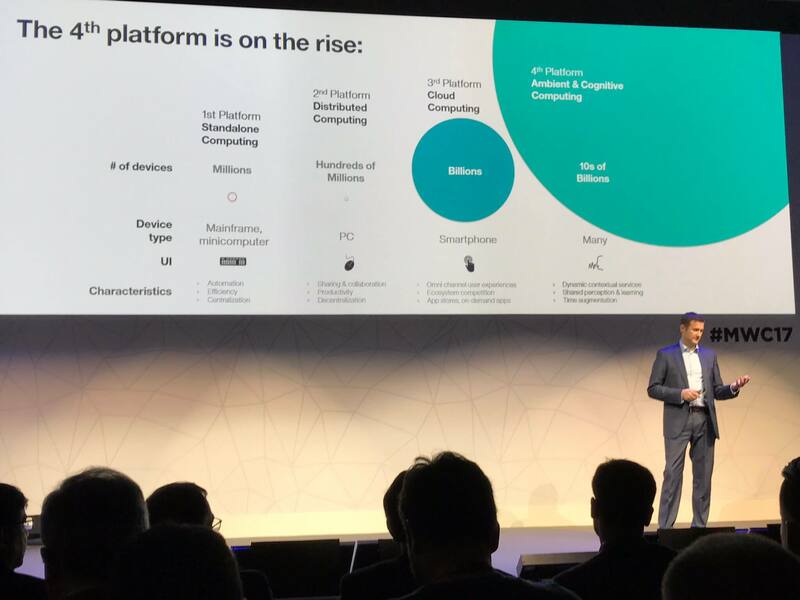 On Bragi partnerships, Darko explained “Through our collaborations, we are always looking to explore new ways of working together through integrated partnerships with the goal to expand our ‘on-body-platform’. In doing this, we seek to create the use cases of the future”. As Darko continued to make some interesting points, the hearable tech groupie in me wanted to find out a bit more about the vision behind Bragi, and it was at that moment that I met Nikolaj Hviid, CEO of Bragi. Talking to Nikolaj was like being given a snippet of how future technologies could change the world. “We believe that with hearables we have landed at the 4th generation platform of ambient and cognitive computing. Here at Bragi, we are looking to understand context. Contextual knowledge is the greatest thing missing while we measure all this interesting data. Our philosophy though is not to be just another data grabbing company; we are looking to let the data work for our users in the best way possible,” said Nikolaj. While talking data with Nikolaj, I shared that their approach might make things harder for them, especially when it comes to finding the right partners since not many (wearable) tech companies are too empathetic about what to do with the obtained biometrics. In my opinion, the overall consensus is, who measures it, owns it. Now that the Smart assistant support is live, you can access Alexa on the Bragi Dash and Pro by downloading the BOS 3.1 Bragi Dash update, as well as updating the Bragi app and connecting to your Amazon account. Once you have updated your Bragi you can ask Alexa to schedule a meeting, check the score, order an Uber cab, play your favourite music, read an audiobook, or give you the weather forecast. Users of Amazon Alexa on The Dash will also be able to access several streaming audio options including their Amazon Music Library, Amazon Prime Music, Audible and TuneIn Radio.